If you are having entrepreneurs blood in your vein, running everywhere inside you then there is a good possibility that you already are thinking about this idea to kick start your own startup with! We appreciate your thinking if you are really up for it, and in this case, we can help you! How? We have made an amazing mobile application template, ‘Foodviser‘, using which you can easily make an online food ordering mobile application which will work similarly as Foodpanda. In some cases, it will work even better. How? Let us explain the reasons. Foodies love to eat without fewer hassles. Calling a restaurant and ordering the desired meal can be such pain sometimes. You might get put on hold or, you often have to talk over the background noise of a busy restaurant. But, is that really necessary to experience this hassle while we are living in the 21st century! It’s the technology era, right? That is why applications or mediums such as foodpanda are getting so much popularity among the foodies. 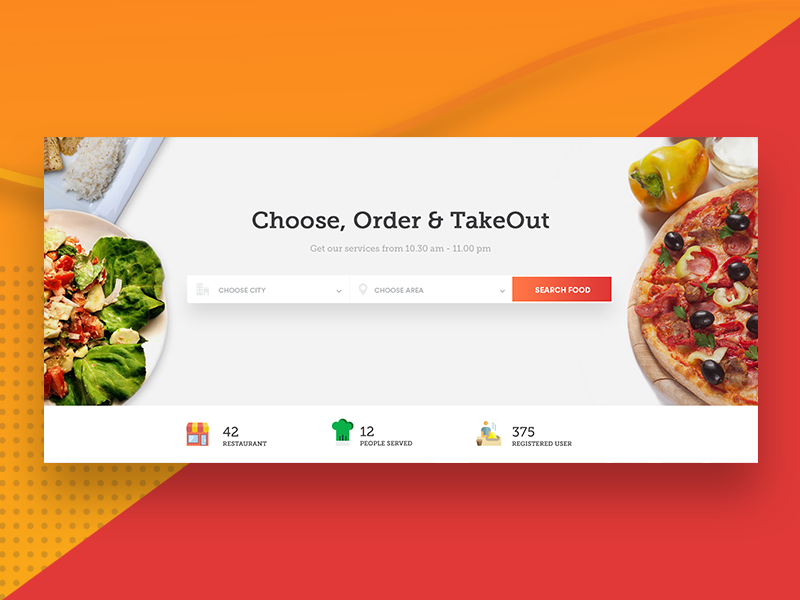 Foodviser is basically an online food ordering application template which will help you to create your own online food ordering application with ease. Even, you won’t need any developer skills to customize this at all. Because this customization headache is all our ours! There are so many online food ordering application available out there in different marketplaces. We tried to study on some of the best templates related to online food order and restaurants and came up with two articles. You can read those articles from the given links below. So, while researching about this specific mobile app templates, we had a chance to filter some of Foodviser’s awesome unique feature with other templates! And now, after comparing we know that it has some unique unbeatable features with which it can lead this category easily! Features like GPS tracking, unique filtering, reviews, personal accounts with such benefits are the features that lack in some of those templates we studied. Besides, using this template you will able to experience the minimalistic but eye-catchy design with a very fast responsive user interface. ‘Foodviser’ uses GPS data to locate your location first, it helps the application to make a list of good restaurants around you depending on your location. After that, you can select any restaurants from the generated list and order their available food items easily. Don’t worry if you aren’t sure about the food, total costing or anything else because Foodviser will show you the total bill and the approximate time to deliver the food items before you confirm your order! Foodviser lets you create a profile so that you can save your favorite restaurants and orders for quick access the next time around. Awesome, right? Foodviser features a unique ‘filter’ feature, using which you can find restaurants or food by rating or price. Foodviser also features awesome pictures with every food items which will help you to taste new food items easily. Besides, you can provide your own review of food items you tasted before which will definitely help another person to order wisely for sure. I found this feature very very robust. We added this robust feature to make it trustworthy! Our design team also made an awesome full product presentation which is available on Behance and Dribbble, which will give you a clear concept of how passionate and as well as serious we are regarding our designing. So, what do you think you will do? Still carrying that thought of doing something as foodpanda, or you want to beat it? If yes, give Foodviser a try at least. We won’t let you regret surely.